Have a fun snack time with your Super Mario friends! These delicious wheat puffs from the famous Japanese manufacturer Furuta are covered with super tasty milk chocolate. 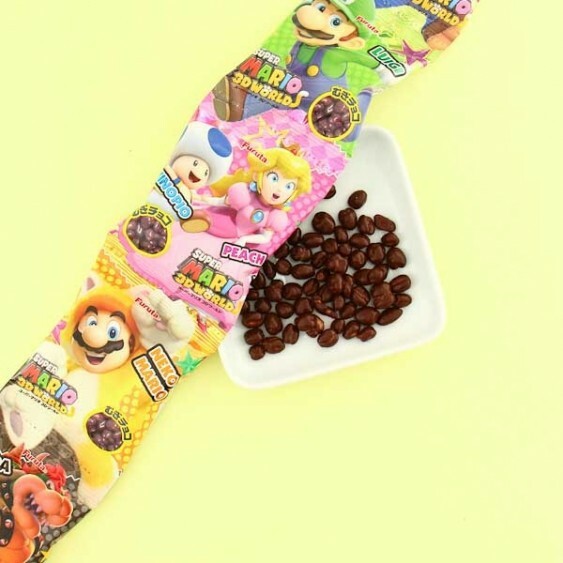 The small bags are easy to carry around and work as a perfect snack. 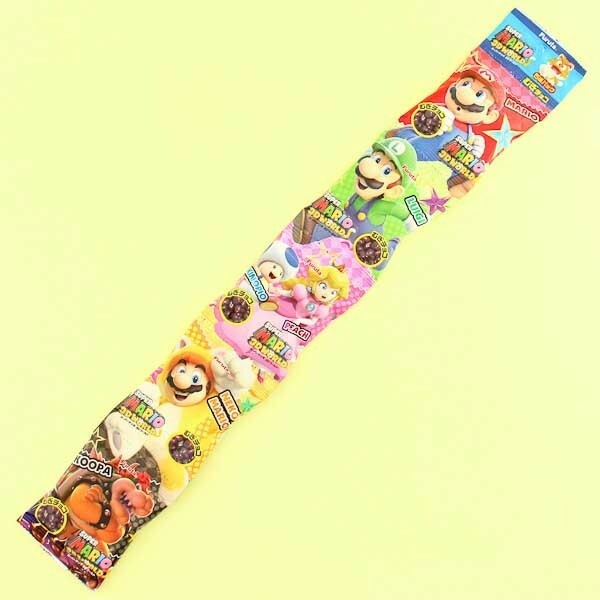 By ordering you get 5 small and colorful bags that are decorated with your favorite Super Mario characters such Luigi, Princess Peach, and Mario. So funny and so yummy!